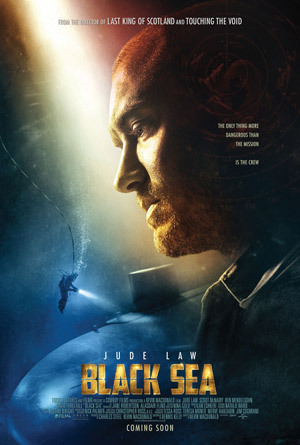 Jude Law, Scoot McNairy and Ben Mendelsohn star in the submarine thriller ‘Black Sea’. Watch the movie trailer below. A rogue submarine captain (Law) pulls together a misfit crew to go after a sunken treasure rumored to be lost in the depths of the Black Sea. MPAA Rating: R for language throughout, some graphic images and violence.